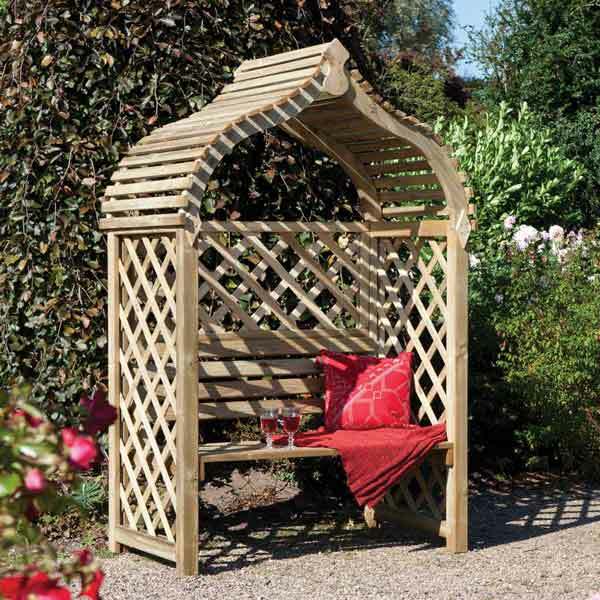 This high quality pressure treated arbour is the perfect addition to any garden, providing an ideal space to read or simply relax. This garden arbour is supplied in a natural timber finish but can be stained or painted if desired. This garden building has open slatted roof providing the arbour with lots of natural light and an airy feel. This garden product has a anti rot guarantee and is supplied with instructions and fittings for home assembly.